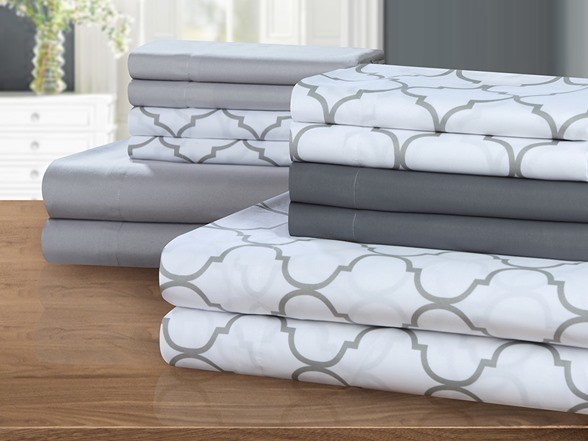 A Geometric patterned printed Super soft brushed microfiber deep pocket sheets set, with solid color matching bonus pillowcases. 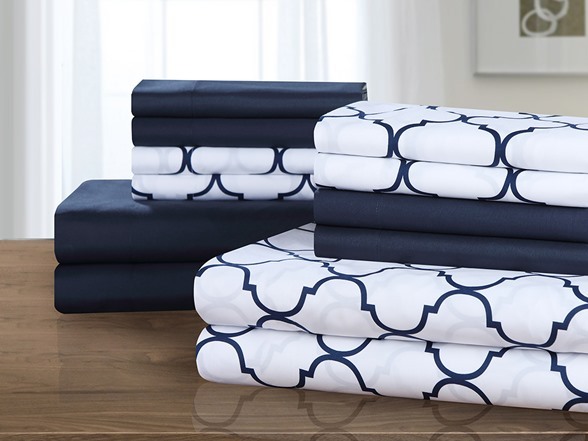 These are great for your master, guest or even your dorm suite. 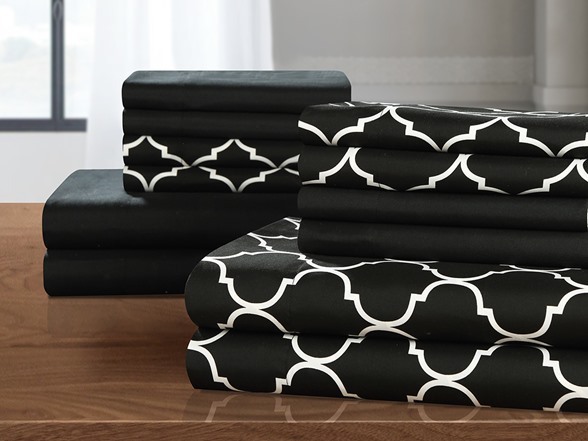 Bonus pillow cases allow you to fill up more pillows to your to add comfort to your cozy place. Care instructions: Dry clean preferred. Machine washable, use front loader machine (or top loader without agitator) to avoid Tearing, use Cold water in gentle cycle, tumble dry low heat, adding 2 tennis balls in the dryer will add fluffiness.